Mahou - Brewed at the very heart of the Spanish capital and deliveriung it’s own unique style and flavour. 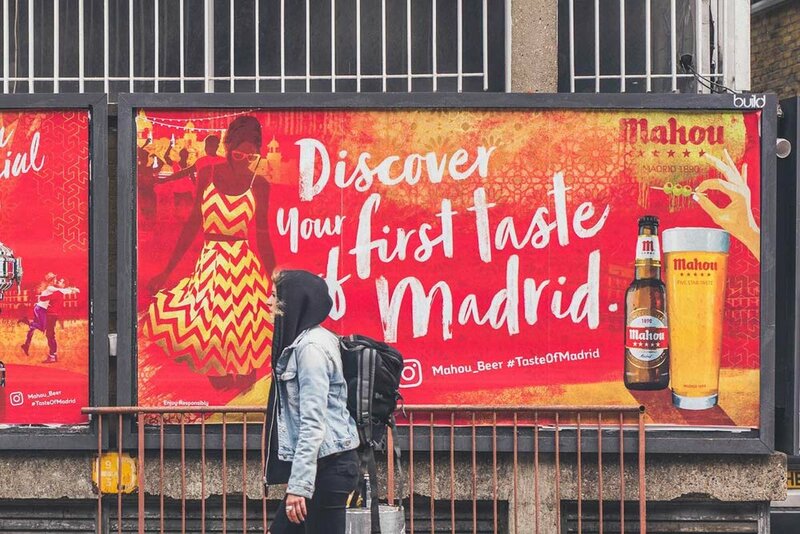 This was the invitation for people around the world to come enjoy their first taste of Madrid with Mahou. Creating a unique takeover within London across various tube and poster sites around Shoreditch and bespoke packaging featuring aunique illutrative approach to the true flavour of Madrid.